Alagarsamy Pandikumar and Ramasamy Ramaraj, "Rational Design of Solar Cells for Efficient Solar Energy Conversion"
An interdisciplinary guide to the newest solar cell technology for efficient renewable energy Rational Design of Solar Cells for Efficient Solar Energy Conversion explores the development of the most recent solar technology and materials used to manufacture solar cells in order to achieve higher solar energy conversion efficiency. 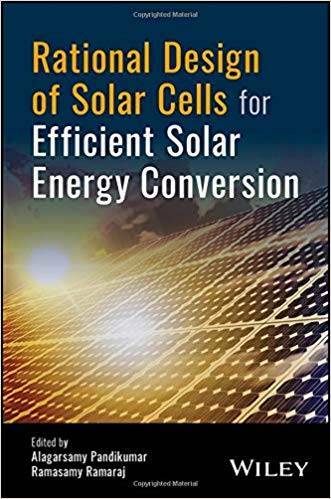 The text offers an interdisciplinary approach and combines information on dye-sensitized solar cells, organic solar cells, polymer solar cells, perovskite solar cells, and quantum dot solar cells. The text contains contributions from noted experts in the fields of chemistry, physics, materials science, and engineering. The authors review the development of components such as photoanodes, sensitizers, electrolytes, and photocathodes for high performance dye-sensitized solar cells. 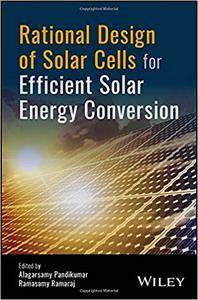 In addition, the text puts the focus on the design of material assemblies to achieve higher solar energy conversion. This important resource: Offers a comprehensive review of recent developments in solar cell technology Includes information on a variety of solar cell materials and devices, focusing on dye-sensitized solar cells Contains a thorough approach beginning with the fundamental material characterization and concluding with real-world device application. Presents content from researchers in multiple fields of study such as physicists, engineers, and material scientists Written for researchers, scientists, and engineers in university and industry laboratories, Rational Design of Solar Cells for Efficient Solar Energy Conversion offers a comprehensive review of the newest developments and applications of solar cells with contributions from a range of experts in various disciplines.